I found the reason why my DNA results show Irish/English origins when my paper research indicates this was impossible. I found this by having relatives in different branches take DNA tests and compare the results. The processing of the raw samples by the three major companies produce the same data. However, the Origins segment of DNA results varies greatly. Each company has different algorithms to calculate where our ancestors came from. The ISOGG (International Society of Genetic Genealogy) projects the Origins analysis by 23andme is more accurate than FamiytreeDNA and Ancestry.com. My major takeaway from my DNA testing is to treat DNA results similar to other genealogical documents. Remember, all contradictions in data should be resolved. Autosomal DNA tests differ from the Y-DNA and mtDNA because it analyzes all of our DNA and it can be taken by both males and females. The results will not be as specific as the Y-DNA and mtDNA but the results try to project the geographic origins of our ancestors and provide matches with possible cousins. The projections for our origins are based on studies of DNA samples over large populations from all over the world. The research tries to find markers on specific DNA segments that are unique to people in specific parts of the world and ethnic populations. The ads marketing this test promise to scientifically identify our origins. I am very dissatisfied with the apparent inaccuracies in my results. This seems to be a developing science because the results for the origins of my ancestors differed significantly between the three companies – Ancestry, 23andme, and FamilytreeDNA. Below is a chart showing my Autosomal DNA results from the three different companies. The composition shown above is difficult to interpret for my ancestry. The European lines (Northern, Eastern, and Broadly) seem to represent my Polish and Hungarian ancestors which should be about 75 percent. FamilyTreeDNA at 69% and 23andMe at 77% seems to be more accurate than Ancestry at 58 percent. The French and German portion can be explained by my grandfather Erwin’s German father and this section should be from 10 to 15 percent and the results from Ancestry at 14% and 23andMe 10% fall within that range although FamilyTreeDNA at 6% is slightly out of this range. However, the British and Irish portion of the chart is very difficult for me to understand. I have found no documents that identify any British or Irish ancestors. One explanation for the British and Irish section in my results may be due to mutations that were inherited from the Germanic peoples who migrated to Great Britain early in history and may be found in my ancestors due to marriages and migrations of Germanic people into Poland and Hungary. Although this explanation may sound probable, I’m disappointed with all three companies and their inability to properly classify these DNA markers. Also, the Ancestry.com results seem to be very questionable for my DNA, because at 40% for the British Isles, they are a significant portion of my DNA and point to an origin that should not be part of my DNA. I downloaded and compared the raw data from each of the samples that I submitted to the three companies and they matched 100%. This means that the origins shown above were based on how each company interpreted the data and not differences in the samples. Each interpretation was based on historical data that the companies have collected from various studies and research. However, the variations in my results show me that the companies need to refine their reference databases to provide better accuracy of the results that companies sell to us. I was brought up as a Catholic but my family history research has identified my great-grandfather was Jewish. Rabbinic records indicate that he and his parents were born in present day northeast Hungary. The lack of available records has prevented me from extending this branch of my family beyond 1838 but DNA tests have given me more hope. History speculates that the Jews that populated Eastern Europe were Ashkenazi that had emigrated from the Rhineland area in Germany. It is believed that the term “Ashkenazi Jew” refers to Jews who originally settled in the Rhine Valley of Germany in the early middle Ages. Jews in Germany in the 1600s were alternately tolerated and then persecuted. Due to this persecution, some Ashkenazi immigrated eastward into Bohemia, Hungary, Poland, Belarus, Lithuania, and eventually Russia, Ukraine, Romania. During one of these periods of persecution, I believe my Jewish ancestors probably decided to move eastward and this is how I think they settled in Hungary. Y-DNA test results from FamilytreeDNA matched me with someone with German ancestry and whose ancestors originated near Landau, Rheinland-Pfalz, Germany. The results were matches on 35 of 37 markers with a distance of 2 which indicates a definite distant relationship. Since the Ashkenazi did not adopt the European surname system until they were forced by the European rulers about 1800, it will be impossible to find the common ancestor with my German cousins. I believe the DNA results give me the confirmation of the German origins of my Ashkenazi ancestors and add important roots to my family history. 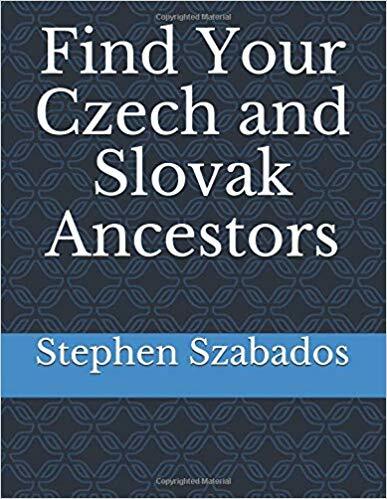 The main point with the above example is that the match that the results gave me did not add any name to my family tree but the relationship gave me important information that my family had emigrated from Germany to Hungary. I received a DNA test kit for Christmas and decided to take the plunge into genealogy-related DNA research. I submitted my DNA sample to the 23andMe Company and received my results two weeks ago. The results confirm some of my genealogy research but I am having difficulty interpreting the haplogroup information and comparing it to the genealogical documents that I found. Right now I am disappointed with the amount of information available from 23andMe to help me explain these results. I will continue to search the 23andMe website for a better explanation. Below are my results and my understanding at this point of their meaning is based on DNA articles that I have found so far from other sources on the internet and not 23andMe. The composition shown above seems to confirm my 50% Polish ancestry which I inherited from my mother. The above results may also seem to show my Hungarian ancestry which I calculate at 25% and I think contains both Magyar and Germanic ancestors. I am confused when looking for Middle Eastern origins which should represent my Jewish and Gypsy roots. Both segments which I expected are missing from the Ancestry Composition shown above. I was given two haplogroups – maternal DNA and paternal Y-DNA haplogroups. The maternal haplogroup code definitely identifies my Polish roots and the paternal haplogroup code identifies by Jewish roots. However neither group helps confirm my suspected Gypsy ancestry. My maternal haplogroup was identified as H16 and is the main indicator for my European ancestry composition. Haplogroup H is the most common maternal haplogroup in Europe and is found in about half of European population. H16 is a sub-group of the overall H haplogroup. It was only identified recently and I have not found any articles explaining its details and distribution. Note that maternal DNA or mitochondrial DNA (mtDNA) is inherited from your mother and has contributions from all of your direct female ancestors. Therefore my maternal DNA was received from my Polish mother and not from my Hungarian side. The Gypsy (Roma) markers that I was looking for would be found in female descendants in another branch of my family. My suspected gypsy (Roma) great-grandmother was my dad’s grandmother and I think it would be difficult for me to inherit her DNA markers. If my understanding is correct, the gypsy (Roma) markers would be found in the female descendants of the daughters of my suspected gypsy (Roma) great-grandmother. There are nine female descendants in this group. Gypsies (Roma) are thought to have originated in the Indus Valley which is now part of Pakistan and DNA testing results would show a small percentage of ancestry composition originating in the Indus Valley. Our Y chromosomes are past down only through male descendants and as expected the paternal haplogroup identified in my DNA does identify Jewish heritage. My results showed the Q1a3* haplogroup which has been identified in a very small group of Ashkenazi Jewish men. This result confirms what I found in the rabbinic records and census records for my great-grandfather. The Q1a3* haplogroup should also be the paternal haplogroup for any direct male descendants of the two sons of my great-grandfather. This group includes myself and ten other living descendants. Note that my great-grandfather was born of Jewish parents in Hungary; he married a Roman Catholic and changed his name. Note that the haplogroup Q is widespread at low frequencies throughout the Middle East, Asia and Siberia. Also the haplogroup Q is found at high frequencies in the Americas in the native Indian populations. The Q1a3a haplogroup is only found with native American Indians and although the markers may be close to my paternal haplogroup, the Q1a3* did not migrate through Siberia and Alaska to the Americas with Q1a3a. The Q1a3* group found its way to America only when Jewish men with this DNA immigrated to America. The term “Ashkenazi Jew” refers to Jews living or whose “paternal” ancestors lived in the following parts of central and Eastern Europe: the Rhine Valley, France, Germany, Holland, Austria, Hungary, former Czechoslovakia, Belarus, Lithuania, Poland, Romania, Russia and Ukraine.